TheRustedChain - The Blog: We be jammin'. Lately we've had more fruit than we know what to do with. Someone asked me how we keep the deer away from the mulberries. There are more than enough to go around! We definitely have a lot of deer come through the yard and nibble, but there's still plenty for us. We probably have 15 or more mulberry trees. And now we've moved on to apricots. Apricots coming out of our ears. I've made numerous batches of apricot jam. Neighbors have come and picked bags of them. Friends have come to pick them. And this is just from one tree, so far. We have several more apricot trees that haven't fully ripened their fruit yet. For jam, as of now, we've made mulberry, apricot, spiced apriot, and peach apricot. I have an almond apricot coming too. And who knows what else. I think someone told me once that apricots only produce fruit every third year, so if that's the case this is the right year. I've tried looking on the internet and couldn't find any info. Does anyone know if that's true? p.s. There's still time to enter the current jewelry giveaway! Just click here. This is a real accomplishment. 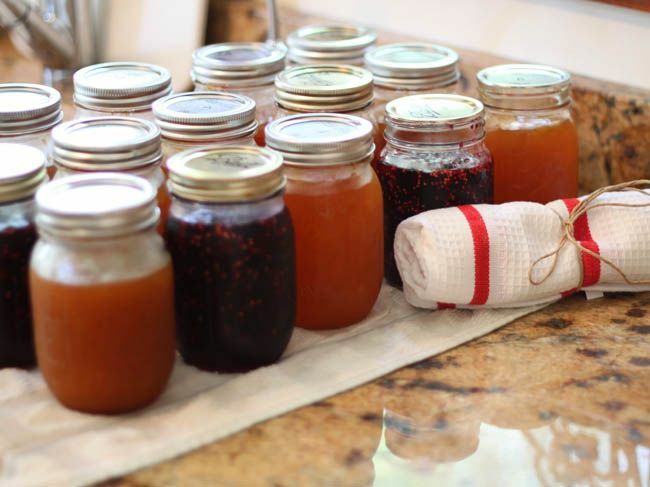 Believe it or not there are not a lot of people out there that still do any kind of home canning. I'm impressed. I used to do a lot of canning, but I no longer have my own garden, so there isn't much need for it. The only thing I can now is peach jam and syrup. You've done a great job! I've been toying with the idea of canning. The equipment is a little expensive though. Maybe next year. We used to have an awesome plum tree in CA and I made Plum Jelly all the time. I miss that tree. Oh, yummy! Nothing like homemade! Fruit stand in your future? ?--if so I'm there. You can't be that far in the state from us! Apricot jam is my FAVORITE! I haven't canned anything in a couple years. But you've inspired me. Maybe my tomatoes this summer. woweee, you are amazing! i love jams :) we have more fruit this year then every before, it's unreal isn't it?! Oh my goodness. You made that jam look so pretty. Thanks for you nice giveaway at Angie's today! So sweet! I love your necklaces. They are gorgeous! I will totally buy some of that jam from you - is it shippable to CO? 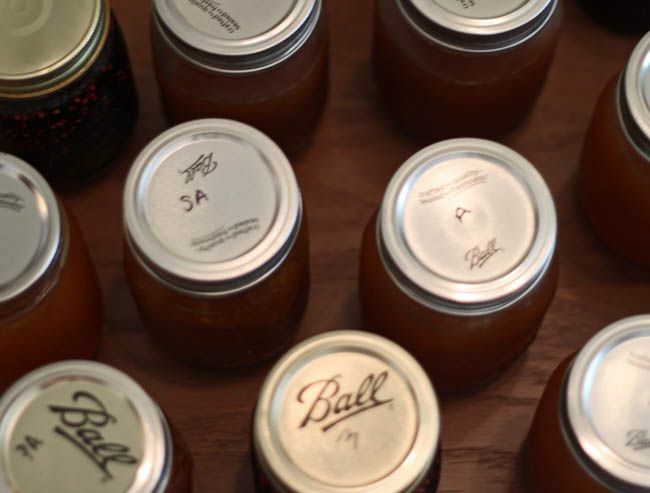 I have wonderful memories of my great-grandma canning fruit - peaches, pears, apricots, etc. peach apricot for me please! you're incredible. kindly chuck me some of your energy. Oh yummy! You've taken me back to our four years in France. Abricots were our favorite there! Now I must go find a graham cracker and add some apricot jelly! i'd buy some too...ship to CA? seriously, we'd buy some too. Can we come pick some fruit sometime? WOW! you have been busy. those all look so yummy! i'm not sure on the apricot producing thing.